The House Committee on Transportation and Infrastructure marked up the 21st Century AIRR Act on Thursday, June 27, by a vote of 32 to 25. Only one member of the majority, Rep. Todd Rokita (R-Ind. ), voted against the bill. Past efforts to the reform the United States’ ATC system have failed. Part of the FAA Reauthorization Act of 2003, the Next Generation Air Transportation System (NextGen) was supposed to modernize the FAA’s air traffic control system and make it more efficient. Instead, what the country has seen is implementation programs, delays, and higher costs. Between FY 2004 and FY 2016, according to the Government Accountability Office, the FAA “received approximately $7.4 billion for programs and activities FAA identified as NextGen.” Department of Transportation Inspector General Calvin Scovel testified that NextGen could take 10 years longer to implement and that costs may reach $120 billion, far higher than original estimates. The most recent audit of NextGen by the Department of Office of the Inspector General didn’t bring confidence that the FAA had gotten its act together. The six programs covered in the report had seen costs rise from $2.13 billion in 2012 to $5.77 billion, with the implementation of two of the programs delayed by six years. Clearly, Congress must move away from NextGen and to a more sustainable model. The 21st Century AIRR Act would sunset the Air Traffic Organization (ATO) and transfer air traffic control authority to a newly created nonprofit entity, the American Air Navigation Services Corporation. (AANSC). The board of directors for the AANSC will be comprised of 13 stakeholders, including two directors appointed by the Secretary of Transportation and one director each appointed by the passenger air carriers, air traffic controllers, and commercial pilots. Several national conservative organizations – including FreedomWorks, Americans for Prosperity, the Coalition to Reduce Spending, the Competitive Enterprise Institute, and the National Taxpayers Union – have expressed support for the ATC modernization proposed in the 21st Century AIRR Act. Separately, several conservative state-based think tanks also support these crucial reforms. In addition to ATC modernization, the 21st Century AIRR Act would reduce regulation, promote safety, and improve service to passengers. Although there is room for improvement for every bill, FreedomWorks believes the 21st Century AIRR Act brings a long overdue series of reforms to the FAA. Conservatives in Congress should support this effort. 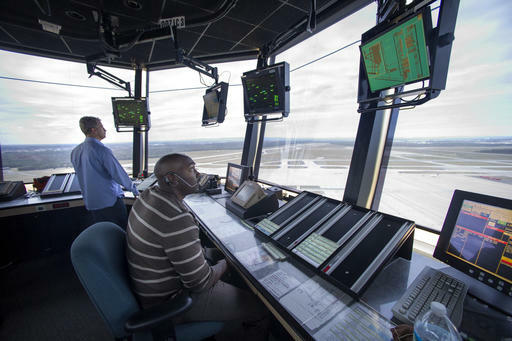 As a retired air traffic controller and having worked directly on the development of NextGen, I am intimately familiar with the current system and see little in the AIRR Act that addresses the many fundamental and systemic problems within the ATC system. While I have no confidence in the government in general and the dysfunctional FAA in particular, it is difficult to see how transferring the system to competing financial interests with competing agendas will somehow resolve these problems without first establishing very specific measurable goals.and guidelines for technical modernization, standardization, certification, and training. Trusting that these and many other fundamental issues will somehow be resolved by an amorphous private entity without more specific guidelines is a leap of faith too far. I have no objection to privatizing ATC but without establishing very specific goals it is simply another form of reorganization that will resemble the often repeated rearranging of the deck chair on the Titanic.